The Hanged Man: The Story of Ron Van Clief; is the astonishing true story of a man surrounded by trauma and violence who is forced to become a superman in order to survive. 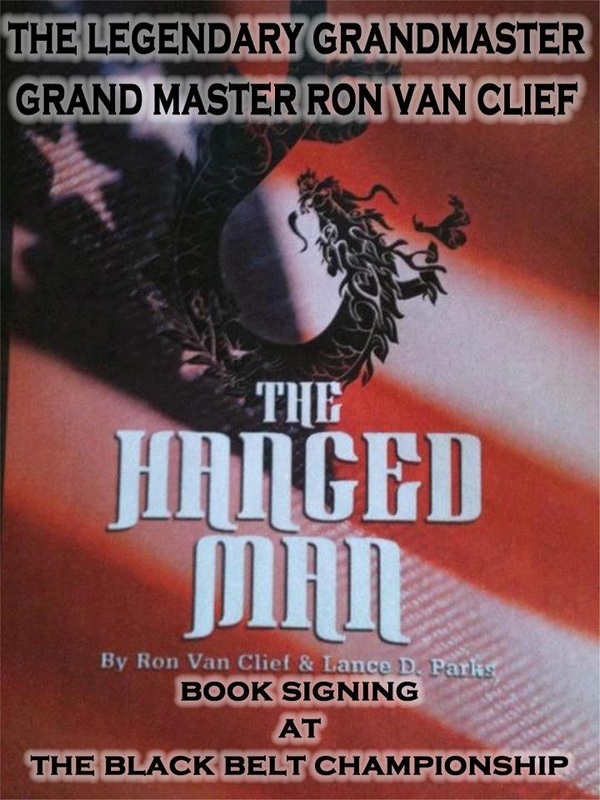 The events that forge Ron Van Clief are brought on by harsh circumstances, fierce racism, and tragic choices, however Van Clief does not succumb to victimization. With an iron will, he becomes “The Black Dragon”: the first black martial arts film star, and one of the greatest martial artists of all time. His determination to win – despite horrific odds–exacts a heavy toll and his life becomes a roller coaster ride with spectacular highs, devastating lows, and more than a few cliff-hangers. Ron’s biography reads like a microcosm of the American experience in crisis. His father is so abusive that as a teenager Ron plots his murder. Only a few years later Ron is actually lynched by a gang of racists and left to die. In Vietnam he is forced to become a killing machine. On the Lower East Side of New York, drug lords try to gun down Ron and his child. He tears through countless unhappy relationships with women. He is by turns wealthy and homeless. There is serious damage inside, and one tragic loss still haunts him to this day. Despite these struggles, Ron miraculously attains excellence and fame being a man among men. 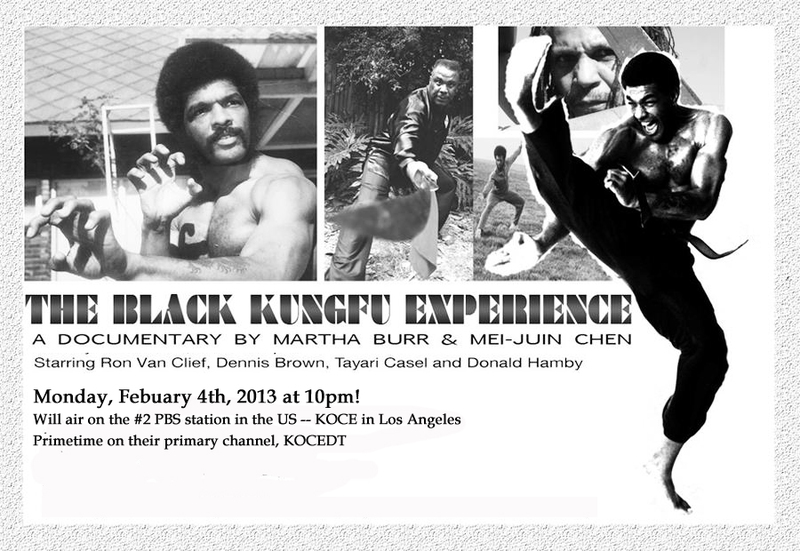 The Black Kung Fu Experience is a documentary about African-American martial artists’ journey in the 1960’s and 1970’s. During these decades Kung Fu amongst blacks grew in Washington, DC. Los Angeles, The Virgin Islands, Jamaica, and Hong Kong. Both African American and Chinese had different experiences and yet came together in unique ways thru Kung Fu. Both were challenged politically and dealt with prejudices. The Chinese dealt with oppressive rule in China and British colonialism in Hong Kong. In America racism plagued Black Kung Fu stylists. This film focuses on pioneers in the black culture that became respected masters in kung fu; a martial art dominated by Chinese and whites. The story illustrates how Kung Fu was and still is an import part of the black culture. Community, identity, and various cultures coming together overshadows flash, kicks, and punches. A co-production of Lotus Films International and ITVS, The Black Kung fu Experience is produced and directed by Martha Burr and Mei-Juin Chen. Check your local listings throughout the year in your area!! patches is also a required part of the uniform code for all Sensei and Dojo Leaders. Please contact us via private message or email HERE to confirm your order. 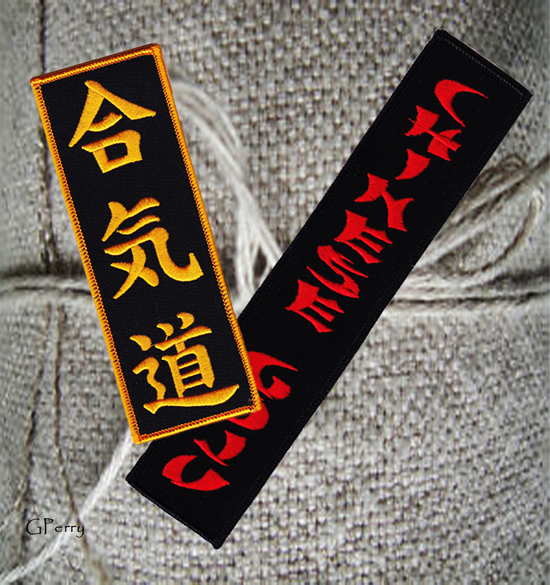 Along with your round patch (crest) on the left side of your gi one of the NEW lapel patches is also a required part of the uniform code for all Sensei and Dojo Leaders. Please contact us via private message or email HERE to place your order. Feel free to email Grandmaster Ron Van Clief as well HERE.